Hosting of the Ironman 70.3 race is supposed to rotate every three years. 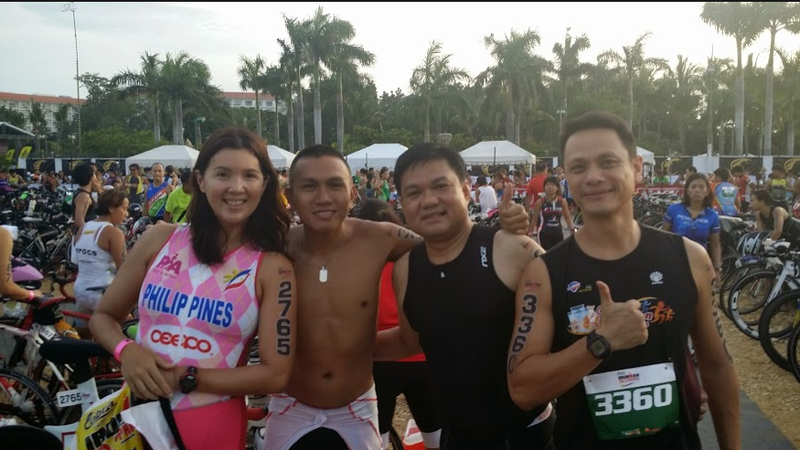 In 2009, this event featured over 500 triathletes in Camarines Sur. The race lasted for three years in Camsur. Next, with much shock and disappointment from then-Gov. LRay Villafluerte, the organizers moved it south, to Cebu. Now, our three years are up. 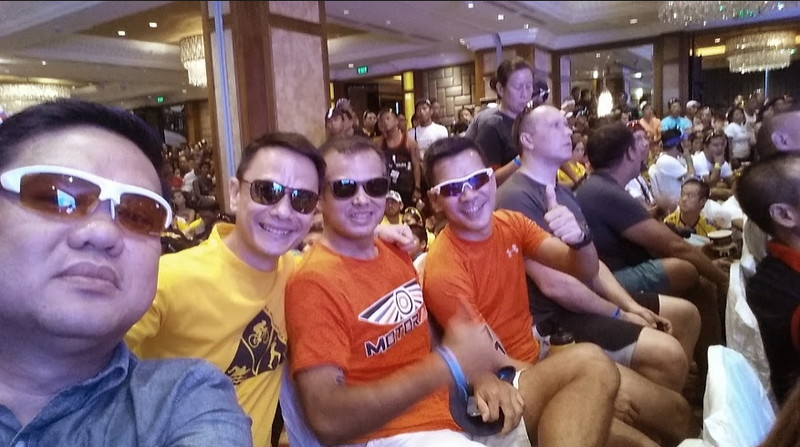 After Luzon first hosted and, next, us representing the Visayas, will the 2015 edition move elsewhere, maybe in Mindanao (Davao, starting the swim in Samal Island? ), to hop on all three Philippine regions? Maybe. But I doubt it. I’m willing to bet my Vellum bike that Cebu will host again next August, and at least for two more Augusts after that. First, Shangri-La. Is there a venue elsewhere that can provide a more shangrila-like experience than Shangri-La? None. Well, maybe Boracay, but where can you pedal for 90 kms. around Boracay? The past three days — Friday to Sunday — we spent plentiful hours in Shangri-La (on Friday to get our race kits and carbo-load during the Welcome Dinner, on Saturday to do the bike check-in and attend the Race Briefing, and two days ago, for the actual race) and, repeatedly, friends would say, there’s no more ideal spot than Mactan. 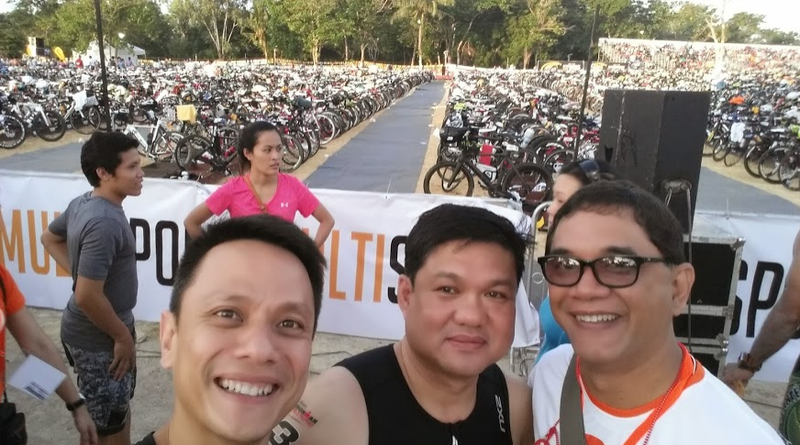 The beach and water are pristine; the added space of Megaworld, near Portofino, where the bikes were parked and where the Transition Area was situated — was ideal. Second, the crowd support. I ran the 21K relay run and the thousands who cheered along Punta Engaño were tremendous. I’ve never ran with so many people cheering. This provides an immense boost to one’s weary legs. The same was true for the 90-km. bike ride: in many areas, fans stood side-by-side to shout, “Piolo!” and students clapped for the zooming cyclists. The availability of dozens of hotels — this is a major plus. Our international airport. Mayor Paz Radaza’s assistance with the bleachers, the dancers during the Welcome Dinner, and more. The cooperation of the police, traffic, medical teams (led by Dr. Peter Mancao), of the Cebu Province (led by Atty. Mark Tolentino) … all contributed to a let’s-help-each-other, We’re-One Cebu united front. So, to yesterday’s headline, “Will Cebu host again?” Absolutely. Not that we’re irreplaceable but the set-up and organization and geography of Cebu will make it very, very, very difficult for Sunrise Events, Inc. to pullout of our province. Still, Fred Uytengsu’s pronouncement of “Maybe… but it’s not sure yet” is good. It forms a leverage for the one problem that’s not difficult to solve: the bad roads. The stretch from Parkmall to the SRP Tunnel is the problem. And when you’re running 44-kph on a time-trial bike, you’d want a glossy pavement. This area is rough and awful. But can it be smoothened, in time for 12 months from now? Absolutely. The race last Sunday? Ahh-mazing! It started last Saturday night when Kuya Kim (Atienza), who did the Weather Report during the Briefing, announced that weather conditions would be sunny. Afraid of the incoming typhoon, the Shangri-La Ballroom erupted into cheers. Sunday morning brought perfectly-clear skies. The sea water? Placid and serene. Compared to just a few days earlier when waves tormented Mactan, two mornings ago at 6:28 a.m. when the starting gun was fired, the water was tranquil. Triathletes couldn’t have asked for better swimming conditions. At the 23rd minute, would you believe, the pros were out of the water after 1.9 kms. and sprinting towards their carbon bicycles. They’re jetskis made of human flesh. One by one, wetsuit after bikini after tri-suit, the thousands of fishes pulled out their goggles to turn amphibious and start their long pedaling journey towards the SRP. Inspiring? That’s a mild form of description. You see females and males of all sizes, the young ones and the once young, all braving this crazy sport. Within an hour or so, all bikers disappeared from Mactan, climbing the Marcelo Fernan Bridge, en route to the “M & M” route at the SRP, crossing the Tunnel eight times.